How can technology help us age gracefully? U of T’s Technologies for Aging Gracefully Lab (TAGLab) focuses on creating technology that can help people to adapt to the aging process and continue to live healthy, happy, productive lives in their own homes. Canadian society is aging rapidly, and as the baby boom generation reaches retirement age, the result will be costly for society because of the increased need for medical treatments, hospitalizations and long-term care. Computer Science Professor Ron Baecker, founder and co-director of TAGLab, believes that technology holds the key to addressing rising health-care costs, as well as the fundamental challenge of maintaining health and happiness as we age. Working with other TAGLab researchers and students, Baecker is developing innovative and useful technology to meet these challenges. 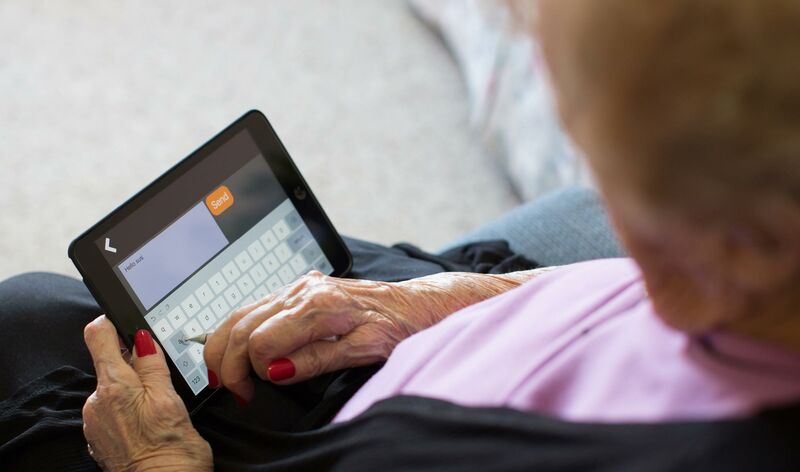 Among those solutions are devices and technologies to help seniors and others engage with their families and friends, record their life stories and more. These technologies include InTouch, a digital communications app and web portal to combat isolation and loneliness; an accessible large-print listening and talking eBook device, which helps people who have vision loss and motor difficulties read on their own or with their families; Multimedia Biographies, a new technology designed to capture life histories and support recall and reminiscence; and VocabNomad, an app that provides English-language learners with the vocabulary that they need when they need it.